Yet it results in such a beautiful work of art. 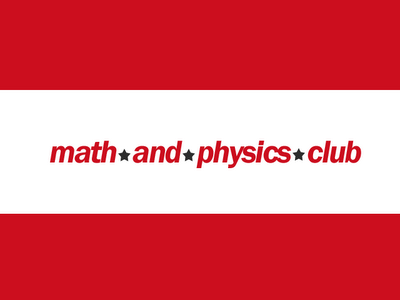 The world has been waiting to see what the Math & Physics Club could actually achieve, after lapping up their first two eps, each with its own classic title track. What was underneath those white lab coats we asked ourselves? Was it more than a worn Moz shirt? We've gotten to know MAPC as the group with the reverby, delayed lead guitar and the singer who's listened too much to The Smiths. "Weekends Away" and "Movie Ending Romance" were the group at their upbeat, jangling best. We loved the slower, violin-accompanied pieces as well though and the way they reminded us of oldskool Belle & Sebastian. Their eponymous debut album, out now, is full of the former kind. "I Know What I Want" has some of the most delicate guitar-picking you'll hear this autumn. "La La La Lisa" has a Tullycraft-flavoured lyric, but without the name-dropping. "April Showers" has a great ba-ba-ba chorus and is one of my new favorites. Their countryesque streak shows in "Darling, Please Come Home" with its brushy drumming, in the languid "Holidays and Saturdays" where they sing about "croquet on the lawn", and in the skipping "Last Dance". A small minus for the artwork though, which is nice, but not as nice as for the eps. It seems more as a standardized Matinée cover. You're not starting to design the covers in your sleep, are you Jimmy? You should regard the Lovejoy cover as a challenge! Now, watch as MAPC take off their coats to reveal their brand new shirts - with their own band name on them. You don't need comparisons anymore! With their album, MAPC shows they are themselves enough.